James Ocasek is an attorney and avid fan of live theater. He got involved with GreenMan in the beginning on the technical aspects and has stayed ever since. Since he is generally acting during the day, he prefers to work with sets and lights as Technical Director for the Troupe in what is laughingly referred to as his spare time. He delights in helping to make the magic and is constantly amazed at and proud of the collaborative ethic that the Troupe endeavors to provide at each show. He marvels at the creativity of Troupe members in crafting shows in the intimate space at FUMC, but yearns for a ceiling higher than 9' and unlimited electrical power. As a Board Member and Vice President he hovers in a constant state of readiness to assume control, knowing he is but a heartbeat away from the ultimate responsibility. He is frequently called upon to give legal opinions, sometimes even on things related to the operation of the Troupe (“Whatever.....”). He works on policies and procedures and any other legal issues that arise and is the voice of sanity on the Play Selection Committee as well. 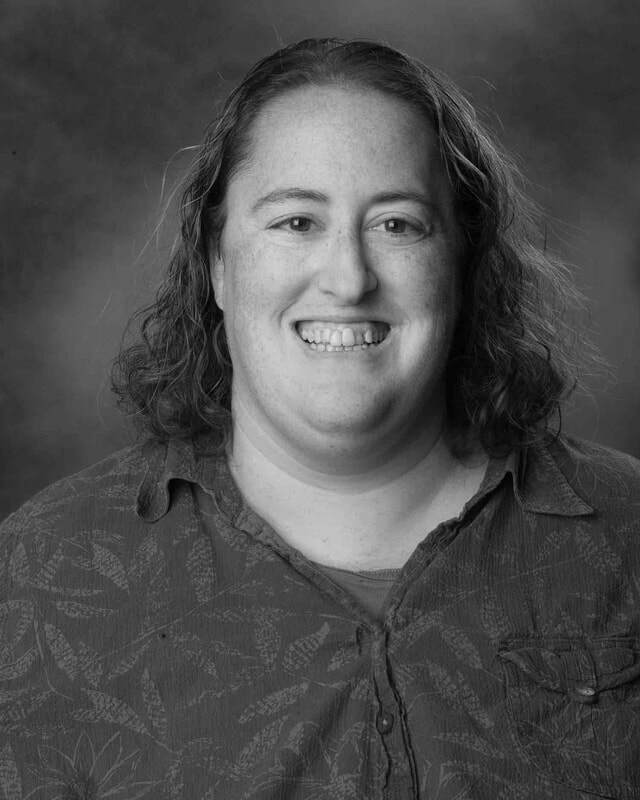 Carolyn Thomas-Davidoff is a GreenMan Board Member, a co-founding member of the Fox Valley Storytelling Guild, a co-founding member of the Mirror Image Youth Theatre and former artistic director of the Children’s Theatre of Western Springs. She holds a masters degree from Northwestern University and teaches gifted, drama, and debate in Buffalo Grove. Carolyn directed GreenMan’s productions of Without a Hitch and Murder: Stage Right and appeared as Lady Bracknell in their production of The Importance of Being Earnest. Chuck’s earliest theatre recollections are from his days as a “theater rat” watching his parents working on shows as founding members of Cameo Players in Mt. Prospect, IL in the 1960’s. He and his sisters used to fall asleep in the aisles, as the work of tech week stretched into the wee hours of the morning. His first show was as a puppeteer in an adaptation of the “Headless Horseman” in junior high school. After a long hiatus, he caught the performing malady when he auditioned for a place in the Time Travelers Impróv Troupe; with whom he still plays. He made his GreenMan acting debut in Shakespeare in Hollywood. Steven Soria is a founding member of the GreenMan Theatre Troupe and is currently serving as the Secretary of the Board of Trustees. His theatrical adventure began in seventh grade, when he competed for and won a one-year scholarship to the Children’s Theatre of the Theatre of Western Springs. He acted through high school, mostly with the Children’s Theatre of TWS, and was usually “the bad guy.” Among his favorite roles, in Jack & the Beanstalk, he was the mortgage holder of Jack’s mom’s shack, eagerly anticipating throwing her out in the street. While in high school, he also appeared in the regular TWS production of Richard III, with too many roles to remember (pall bearer, messenger, halberd, town crier, guard, and something else). After college (and back home in Western Springs), he worked backstage on several shows at TWS, usually working on lights. Although he tried out for several roles in college, he was never cast. Plus, since for a while his official major was astronomy, there were (ahem) schedule conflicts. In the end, Steven majored in English, and has combined his interest in science with language by working as a technical editor for an engineering company downtown, where he translates from ‘engineeringese’ into English. Since these early days up until the founding of GreenMan Theatre, his theatre activities have been as an audience member. At various times, he and his wife have been season subscribers to the Court Theatre, Goodman Theatre, Steppenwolf Theatre, and the Theatre of Western Springs. With the creation of GreenMan Theatre, however, he is excited to be playing and working again in theatre. Steven has appeared as Henry, the Old Actor, in GreenMan’s The Fantasticks (February 2005) and as Mayor Otto Balgemann in GreenMan’s Graveside Stories & Walk (October 2007). Usually, though, he is working behind the scenes, editing the program, running sound or lights, or helping on props. David Soria is GreenMan’s Artistic Director and a co-founder of the theatre. Productions he has directed for GreenMan include The Guys, Shakespeare in Hollywood, Pride and Prejudice, Dracula, The Importance of Being Earnest, and The Odd Couple. He directed GreenMan’s first production,The Boardwalk Melody Hour Murders, in 2004. David designed sets and lights for Waiting for Godot and Nevermore: The Dark World of Edgar Allan Poe and has been production manager on several shows. Other productions he has directed include As You Like It, South Pacific, A Midsummer Night's Dream, and Working at Moraine Valley Community College; Fifth of July, The Conduct of Life, and Anything Goes at Illinois Wesleyan University; Modigliani at Citadel Theatre and Old Times at Heartland Theatre. He has also directed Oliver, Annie, and The Sound of Music for Elmhurst Children's Theatre. David has designed sets, lights and sound at various theatres, worked as a stage manager for the Illinois Shakespeare Festival and as assistant technical director for Oakton Community College. David did his undergraduate work at Wesleyan University and has an MFA in Theatre from Illinois State University. He has taught at Illinois Wesleyan, Moraine Valley, and the Children’s Theatre of Western Springs. David is also an actor and has appeared on stage as Mozart in Amadeus, Orgon in Tartuffe, and Van Helsing in Dracula. 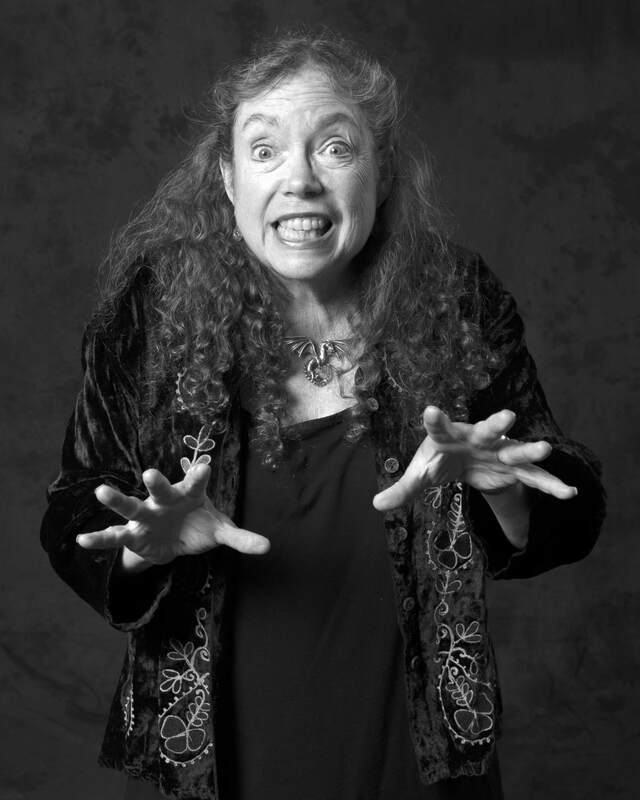 Marilyn Connolly has been a member of GreenMan Theatre since its inception. She has an avid interest in being a part of everything about our Troupe including acting in our Murder Mysteries, storytelling, House Management and anything backstage she is able to learn. She is also an active member of the Board of Trustees and the Membership Chairperson. The first ten years have flown by so quickly it will be exciting to explore what is in store for GreenMan as we proceed into our next season. Shazad Mehta is a resident of Elmhurst since 1988 when his family moved their business here from Oakbrook. Just starting out in 2nd grade Shazad had a wonderful experience attending Hawthorne Elementary, Sandburg Jr. High and York High School. Theatre first made an appearance in his life while at Sandburg Jr. High where he did several shows for the drama club. After graduating from York Shazad then attended Southern Illinois University Carbondale where he graduated with a BS in Public Relations and Marketing. While at SIUC he was also involved in many extra-curricular activities including performance arts as well as Ultimate Frisbee. His professional career started in sales, specifically door to door sales which he found to be challenging but very beneficial for him. Learning new ways of sales Shazad excelled in that role so much so he was chosen to go to Tampa Florida to establish and teach a sales method to local sales staff to start a pick up/delivery dry cleaning franchise. Feeling the need to have a more established career path in 2005 Shazad moved back to Chicago and joined with his father and two older brothers to help run their family auto repair shop Mehta Motors. Incorporated in 1983 Mehta Motors is going strong in Elmhurst by offering fair and honest auto repair service. Once back in Elmhurst Shazad saw in the local paper that there were open auditions for a dinner theatre show by a new group in town called GreenMan Theatre Troupe. Since then Shazad has been a regular fixture in the dinner theatre murder mystery shows. Also a member of the Elmhurst Rotary, Elmhurst Jaycees and Chamber of Commerce and Industry Shazad stays active in the community. He is also an avid Ultimate Frisbee player with a traveling team that goes all over the country for a variety of different tournaments. Shazad is currently living in the Pilsen neighborhood in Chicago with his Dachshund Salvador. Shazad is honored to be a board member of the GreenMan Theatre Troupe and hopes to help them succeed going into the next 10 years and beyond. Jim Bruner has a B.A. in Theatre from Eureka College, IL. Jim is a retired banker but for the past 5 years has worked at Medieval Times playing the King. Jim has 45+ years history in all aspects of theatre. 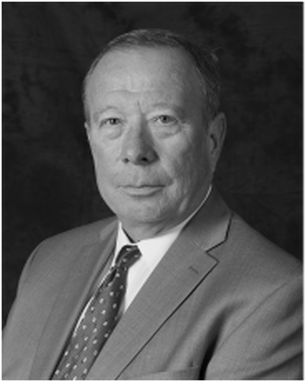 GMTT is the 4th Civic/Community Theatre Company Board Jim has served on. His background includes experience as a Professional & Non-Professional Actor, Director, Producer as well as a Drama Teacher and Set, Lighting, and Sound Designer. His experience also includes Talent Supervisor and Performance Coach at Universal Studios, FL and Executive Director for a Center for the Visual and Performing Arts. Jim has been involved as an actor for GMTT for approximately 8 years. He has also directed two One Act plays for GMTT's production “The End of the World” and “Harvey,” the final production of GMTT’s 10th Anniversary Season. Jim is interested in serving on GMTT's Board (which he considers to be a great little Community Theatre Company) to hopefully help them identify and address the important issues that currently face them in successfully moving forward. Jim lives in Schaumburg with his two rescue English Springer Spaniels. Becca grew up attending theatre and other performing arts events with her family in Louisville, Kentucky. She began ushering in high school. While studying at Lake Forest College she dove in head first as a backstage crew member and never looked back. She graduated college with a minor in theatre and a major in Computer Science. Becca's theatre experiences continued in Raleigh, North Carolina with Raleigh Little Theatre. While there, she stage managed several shows, helped out backstage and faced her fear of acting. At RLT, Becca also learned how to design sound, embraced it with enthusiasm and designed countless shows for the youth series and main stage. Becca also designed sound for Raleigh Ensemble Players, Burning Coal Theatre, and Deep Dish Theatre Company. Favorites include Charlotte's Web, Peter Pan, Urinetown the Musical, and Really Rosie. Upon moving back to Illinois in 2013, Becca found GreenMan Theatre and felt immediately welcomed to the community with her first show: Secret Garden. Becca has helped as backstage crew, sound crew, sound designer, assistant director, and even actor! Her first sound design credit was in 2014 and favorites include A Midsummer Night's Dream, The Laramie Project, Urinetown the Musical, and Arabian Nights. Becca is a software engineer for J.P. Morgan Chase in Chicago and she spends any leftover time doing quilting for charities, family and friends.